Numerous commentators and others are trying to predict what will happen over the coming days and weeks, but the reality is no one knows. I believe a considered reflection on where we have got to, all points to Brexit not happening at all and I set out below the logic behind this conclusion. I should start by saying that at heart I am a Brexiteer. However, I do believe the most likely outcome over the coming months is that Brexit is cancelled. The starting point for my conclusion is the EU does not want the UK to leave. It is, in my view, therefore the case that there is no incentive on the EU to offer favourable terms or further concessions to the UK. There is also undoubtedly a fear within the EU that the UK leaving could be the trigger for others to look to exit too, and the rise of such feelings is evident in many EU states. The consequence of all this is the deal on the table, agreed by the Prime Minister, is in essence the only deal available. There have been suggestions to negotiate a Norway or Canada style deal. These are largely focused on the subsequent trading relationship, and any move to discuss that relationship first requires a withdrawal agreement with a backstop and other features which would not be dissimilar to that on offer today - and therefore equally likely to fail. It is also not clear that there is a majority view in the House of Commons that would support any particular variant of these trade relationships. At its heart this highlights the other key aspect driving my overall conclusion. There is no clear view amongst Brexiteers - and there never has been - of what Brexit looks like or how it should be delivered. It is unclear that Brexiteers could coalesce around any one particular view and certainly not sufficiently within the confines of Parliamentary arithmetic to reach a single agreed position. So, let's turn to the Parliamentary process. If we assume Theresa May's deal fails tonight as all indicates will be the case, the opposition parties and the House of Commons more generally will then have a key role to play. We also have to assume that I am correct that the EU will not offer any further substantive concessions - and indeed the German Government has quashed a report today suggesting that they might. If the Labour Party put a no confidence motion then the Government looks likely to win that vote and the DUP have already said they would support the Government. This will leave us paralysed in a position where the Government has the confidence of the House so does not fall and yet cannot get its principal piece of business through the House. 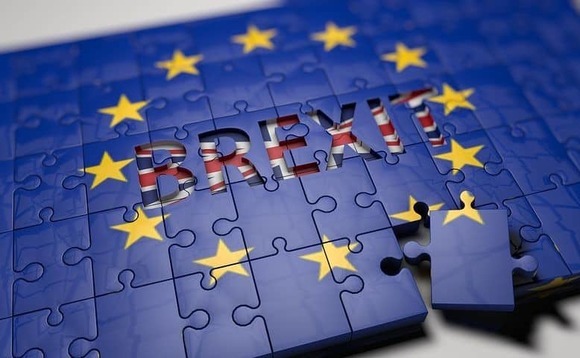 At the same time the House of Commons in a number of votes last week indicated it will not accept a ‘no deal' outcome. It is clear that a number of senior cabinet ministers would not accept a ‘no deal' scenario and as such would resign if that became Government policy or the inevitable consequence of the Government's stance. The Government could not ultimately withstand this and would have to accept that a ‘no deal' had to be avoided. The Government will then be in a position where it is unable to get the deal agreed through Parliament, unable to secure any sufficiently meaningful variation to that deal, having to avoid no deal and yet continuing to have the confidence of the House of Commons. Unable to secure a General Election through a no confidence vote, Labour Party policy is to then argue for a second referendum and this will potentially be the key tipping point. With SNP, Liberal Democrat and some Conservative backbench support, it is in my view likely that a change of Labour Policy to support a second referendum (which is already their policy in the event of being unable to force a General Election) would make such calls irresistible. At this point the Prime Minister would argue that the people should accept her deal. It would be a straight choice between leaving based on her deal or remaining in the EU. I am of the view that this would be divisive across the country, damaging the trust between Parliament and the People. However, in my view, the second referendum is now the only likely way of breaking through the impasse within the House of Commons. It is also very difficult to argue against on the grounds of democracy. Here, as the final piece of the argument, is the nub of the problem of a second referendum. In the original referendum we were presented with a binary choice of Leave or Remain. There is only one version of Remain but there are multiple versions of what Leave means or how it might be delivered. A second referendum would put that single version of Leave - based on the Prime Minister's deal which Theresa May and the EU both say is the best available - to the people. If we still, as I would, want to leave the EU then we have to vote to do so on the basis of that deal and with a mandate from the people, Parliament would have to support the deal at that stage. The deadline for Article 50 will therefore be postponed to allow time for the second referendum. Based on the polling of our own customer base, to which over 3,000 personal investors responded, I believe in a second referendum the most likely outcome is we vote to Remain. The personal investors who responded to our survey voted 51-49 in favour of leaving in the original referendum but would vote 54-46 in favour of remaining if the choice was between the Prime Minister's deal and Remaining in the EU. The first referendum result was close and enough of those voting to Leave the first time will not support Theresa May's deal and will then vote to Remain. I believe the most likely outcome from here is that we stay in the EU. If my view comes to pass, the greatest irony will be that, because they could not agree on a single version of how to deliver Brexit or what Brexit entailed, the Brexiteers for all their passion will ultimately have lost the prize they coveted. I believe others are now also coming to this conclusion - in recent days the Prime Minister's own positioning of her deal has moved from being "this deal or no deal" to "this deal or no Brexit". Whatever the outcome this will have a lasting impact on British politics and may end up in a fracturing of the traditional party structures and politics as we have known it. It has also undoubtedly made politics more divisive and this trait is now so evident in British politics and will take a long time to heal. Comment: After the votes are counted, where next for Turkey's economy?